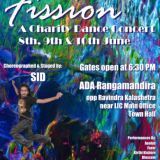 EVENT INFORMATION: Fission – A Charity Dance Concert. Choreographed & Staged by : SID. Performances by : Aeolus, Furor, Kithi Kishore & Blossom. EVENT INFORMATION: Looking Back-A Monochrome Symphony – Paintings by Nikhil Ranjan Pal. Nikhil has a Masters degree from Kala Bhavan, Shantiniketan. He has received awards from the West Bengal State Academy, All India Fine Arts Exhibition and a scholarship from the ministry of Human Resource development, Government of India. 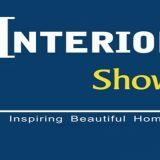 EVENT INFORMATION: Interior Show will showcase a variety of furniture and furnishings ranging from exclusive sofa sets, designer interiors, ethnic and carved furniture, art and handicrafts, massage chairs, kitchen accessories, bed spreads & furnishings, carpets and much more. 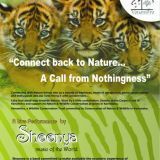 EVENT INFORMATION: “Connect back to Nature… A Call for Nothingness” – connecting with nature brings into us a bounty of freshness, sense of perspective, peace, great energy and enthusiasm into our lives filling it with wonderment. EVENT INFORMATION: Learn the ABC’s of Stock market at iReboot. Learn to independently trade online and invest wisely. Make informed decisions about your investments, know the factors influencing the stock market and get an insight on the company stocks that will help you to bring in rich dividends! 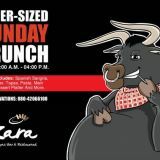 Call 9986984878 for “offline booking/delivery* of tickets” and “bulk bookings” (*conditions apply). To know more about entertainment and fun events in Bangalore please visit our site. 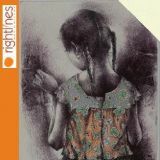 You are currently browsing the India Big Events blog archives for June, 2010.